50 Christian Symbol Stickers. 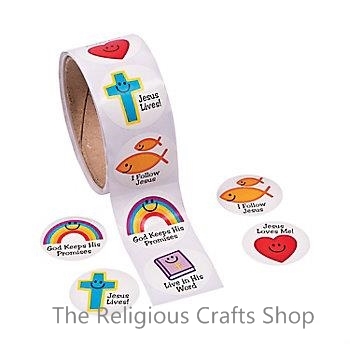 These stickers are bright and colourful with simple designs of Christian symbols and writing. Stickers measure approx 4cm.